As the holidays quickly approach, wouldn’t it be nice to fill your loved ones’ stockings with unique gifts not seen everywhere else? And, wouldn’t it be really nice to be able to purchase those gifts with a few clicks of your mouse? Levenger offers a selection of interesting, unique and often adorable stocking-stuffers for everyone on your list, from your spouse and kids to the fussiest in-laws. The Bomber Jacket Tri-Fold Wallet is one of their great stocking stuffers! Dressed in ruggedly pebbled Bomber Jacket leather, this classic tri-fold men's leather wallet holds cash, cards and ID in a compact design that allows it to fit neatly into a front or back pocket. 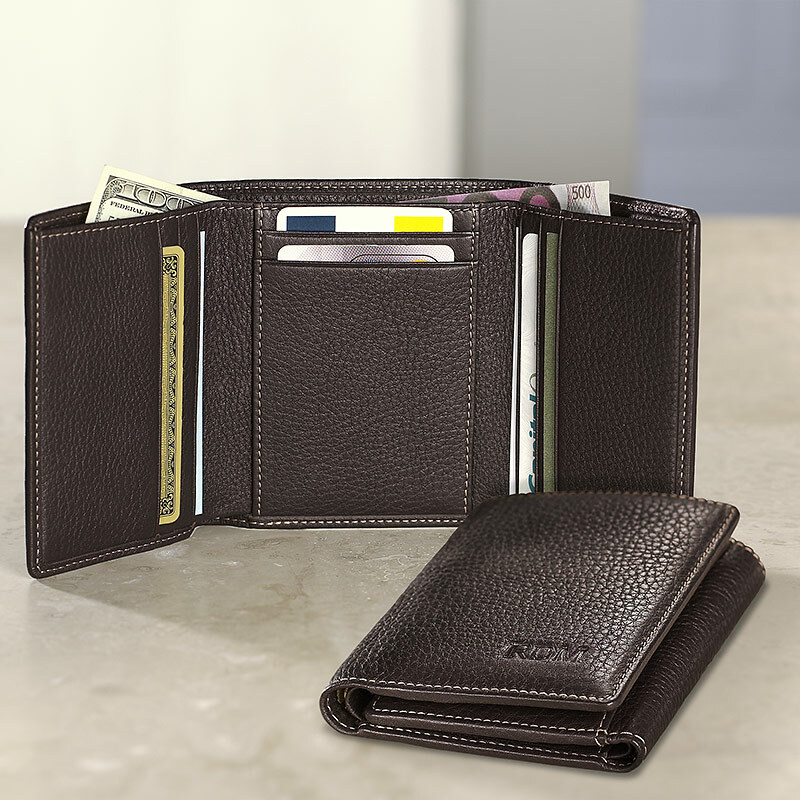 Buy It: You can purchase the Bomber Jacket Tri-Fold Wallet for $69.00 from the Levenger website.